Click on an article heading to view the synopsis and link to read more. Data from the US has confirmed that the slowdown in growth has continued through early 2019, although March employment and PMI figures have shown some positive signs. The Brexit issue is still creating uncertainty for markets. Prime Minister May will now seek a bipartisan deal to present to the British parliament and EU negotiators. The outlook for European growth and inflation is weakening while manufacturing is in its deepest downturn in almost six years. Australia’s federal budget contained few surprises, with the return to surplus and tax measures largely anticipated by the market. Chinese industrial production and exports were softer in March, but stimulus measures are beginning to flow through the domestic economy. 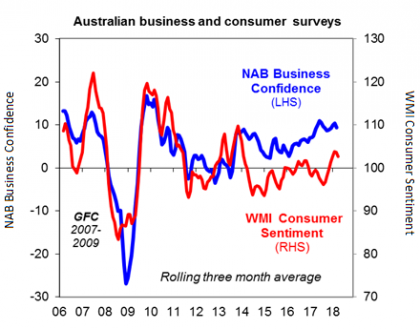 Chart of the week: Is Australia's consumer sentiment the canary in the coal mine? Senior Economist Bob Cunneen discusses why the Australian consumer appears subdued and the hopeful signs that could get these consumers more chirpy about the future. 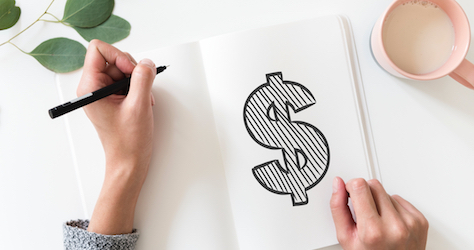 It is important to understand where this income will come from, how long it will last, and whether your retirement investments are on track, or whether some adjustments need to be made to get you there. The US economy is generally performing well, although recent GDP and PMI figures indicate growth is slowing, and February’s payroll numbers disappointed. Much of the bad news coming from China appears to have been priced in, with markets largely unperturbed by the latest downward move in China’s growth target. 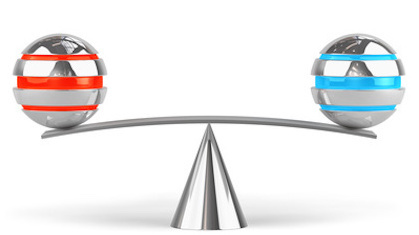 Markets appeared satisfied with the direction of US-China trade talks, but uncertainties remain for the global trade situation, which may be exacerbated by Brexit. Australia’s RBA has signalled a more neutral stance on monetary policy, with markets now pricing in a rate cut by the end of November 2019. 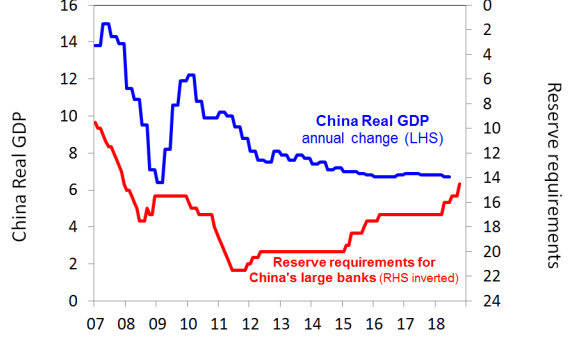 While unlikely to be as significant as previous measures, China has begun to implement more serious fiscal and monetary stimulus to combat slowing growth. Senior Economist Bob Cunneen discusses China’s recent economic growth performance and the harsh reality check this could mean for Australia. 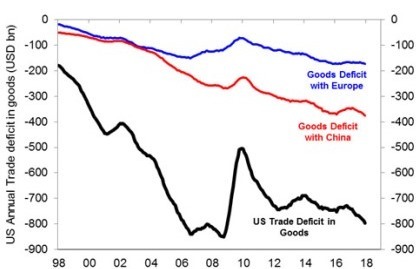 Fears of slowing growth momentum in the US and China are creating a sense of urgency for both countries to resolve the trade dispute. The possibility of a further US government shutdown over border control is adding to uncertainty and downside risks to the economy. The Australian residential property market continues to weaken, while the RBA cut its GDP growth and inflation forecasts for 2019 and 2020. Economic growth in Europe is slowing while the UK parliament raised the stakes by rejecting Prime Minister May’s Brexit deal. Chinese authorities are rolling out additional stimulus measures, including tax cuts and a major rail project, to help combat slowing GDP growth. Senior Economist Bob Cunneen discusses Australia’s recent business and consumer confidence results and the implications for interest rates. The US Fed appears to be more cautious about the economy but remains in tightening mode, with a further two rate hikes expected in 2019. There are signs of slowing momentum in the US economy but fundamentals remain relatively robust, especially in the labour market. 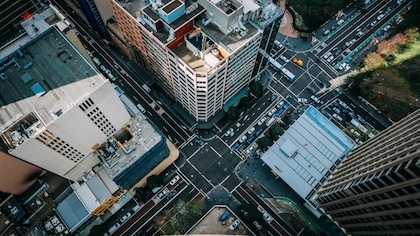 The property market has dominated the headlines in Australia, with significant falls in the Sydney and Melbourne markets during 2018. Economic growth in Europe is slowing while political risks in the form of Brexit and the Italian budget are fuelling uncertainty. Chinese manufacturing contracted in December while markets eagerly awaited the resumption of trade talks in the new year. Senior Economist Bob Cunneen discusses China’s economic growth slowdown and the downside risks that have China’s policymakers concerned about the future. The US economy is likely to face headwinds from the lagged effects of interest rate tightening and fading fiscal stimulus, as well as a stronger US dollar if a tightening Fed policy remains. A trade war détente was reached between China and the US at the recent G20 meeting in Argentina, but trade issues continue to weigh on markets. Eurozone GDP growth is disappointing, rising 0.2% in the September quarter according to November’s estimate and well down on the expected 0.4% growth. Chinese stimulus has been relatively modest, but more could be forthcoming if the trade war continues to escalate. Australian GDP growth slowed significantly in the September quarter, falling to 2.8% year-on-year from 3.4% in the June quarter. Chart of the week: Will the 'trade truce' work or is it wishful thinking? Senior Economist Bob Cunneen discusses the recent US - China ‘trade truce’ and the two key leading indicators that investors should watch. In the words of Captain Obvious, Australia provides some amazing experiences. What the captain fails to mention, though, is that this wealth of remarkable attractions means some truly incredible experiences are often overlooked. 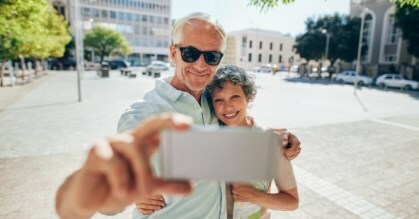 You may have read about the latest ranking of Australia as one of the best countries for retirees in terms of lifestyle and retirement-income systems. And you may have wondered what such rankings personally mean for you – apart from perhaps making you feel fortunate about where you live. 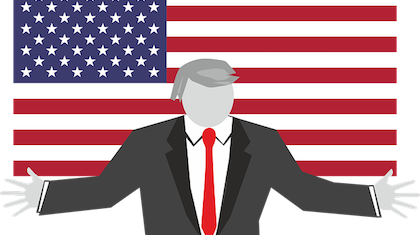 the US mid-term elections and how the outcome might impact markets. What was behind October's sell - off and what does it mean for the markets ? 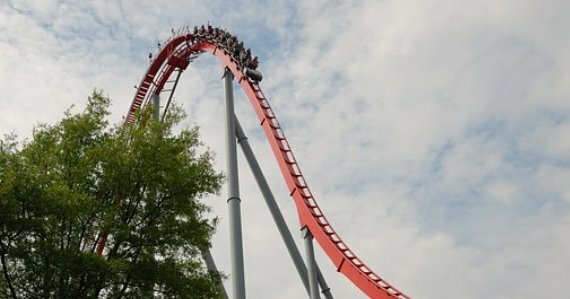 It was a wild ride for investors in October. What caused the market volatility? Senior Economist Bob Cunneen discusses the largest gain in US wages in nearly ten years and the threat this rising wage tide is to profit margins and thereby to Wall Street. The US economy is set to repeat the robust GDP growth achieved in the June quarter, although the figures may be boosted by short-term effects. The signing of a trade deal between the US, Mexico and Canada has managed to settle some nerves, but trade remains a key issue for investors. For the first half of 2018, Australia’s GDP expanded at an annualised pace of 4.0%, challenging the US economy for the strongest rate of growth in the developed world. Australia’s labour market added 44,000 jobs in August, allaying fears of a slowdown in employment growth. China is combatting lower growth with fiscal and monetary stimulus, but easing has contributed to lower market interest rates and a falling yuan. Senior Economist Bob Cunneen discusses China’s bold stimulus measures given the challenges of the current trade war and China’s high debt burdens. 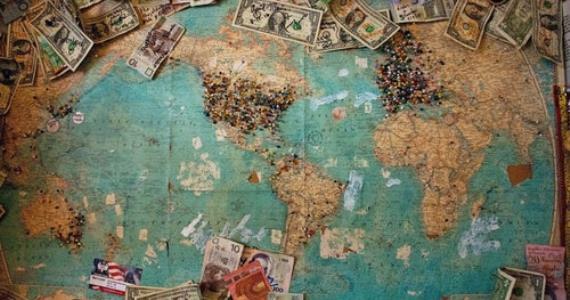 Are you feeling wealthier, less wealthy or somewhere in between? 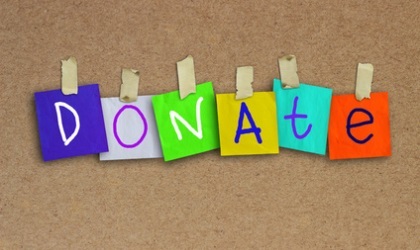 You may be experiencing what is sometimes called "the housing wealth effect"
With thousands of charities competing for your donation, it's important to do some research to make sure your money is being used for the cause you want to support. 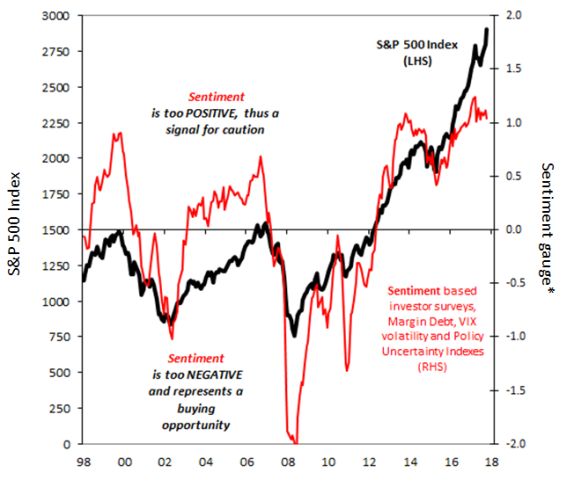 Chart of the week: Wall street's sentiment is all 'trumped up' again. Investor surveys and market positioning measures suggest that investor optimism on US shares may be overly confident. The calendar year is coming to a close but some markets are struggling to make the finish line in good shape. We’re in a twilight zone where Trump, trade wars and countries like China and Turkey could present risks to Australian investors over coming months. concerns over Brexit and the potential implications this may have on markets. Is the RBA set to raise interest rates over the coming year? Senior Economist Bob Cunneen discusses. Money can make us anxious no matter how much we manage to save. Investors who succeed in building large portfolios and those with much more modest portfolios often share the same worry of whether they are saving enough – despite the difference in their wealth. With the close of the financial year, it’s time to review what’s happened in investment markets. MLC’s portfolio specialist John Owen provided this comprehensive review. Chart of the week: Is the US's labour market running on empty? Senior Economist Bob Cunneen discusses the statistics which suggest that the US labour market has run out of available workers to fill job vacancies. Senior Economist Bob Cunneen discusses why the Australian economy can expect to maintain a reasonable growth speed but is likely to trail in the wake of faster global growth. MLC's Head of Private Equity, Alicia Gregory explains why they’re supporters of the education industry in China. Global growth and share markets have benefited from ‘cheap money’ over recent years. Senior Economist Bob Cunneen discusses the encouraging signs shown in recent business confidence and consumer sentiment surveys. You would have heard the saying ‘where there’s a will, there’s a way’. This statement is usually used to encourage people who are losing enthusiasm for a task or goal. 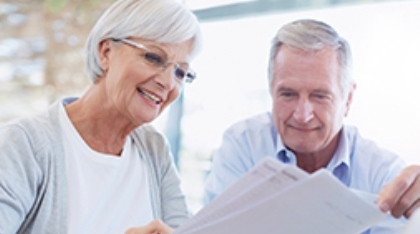 Want to help boost your retirement savings while potentially saving on tax? Here are five smart super strategies to consider before the end of the financial year. Take a visual tour of markets during February. 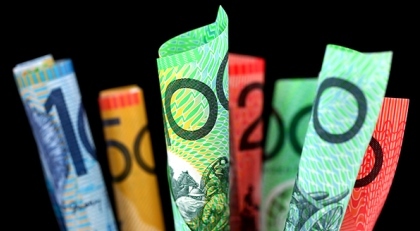 There were sharp falls in global shares, strong rises in US government bond yields, and the Australian dollar declined. Which key events have been driving markets? Watch this video of MLC’s Senior Economist Bob Cunneen in discussion with Head of Investment Communications Jason Hazell. Senior Economist and Portfolio Specialist Bob Cunneen comments on the US President Donald Trump’s announcement of a 25% tariff on steel and 10% on aluminium imports has sent a shockwave through global trade. Take a visual tour of markets during January. There were strong gains in global shares, China's share market rocketed up, and government bond yields rose sharply in Europe and the US. Fidelity's Investment Director, Tom Stevenson, shares his thoughts on investing in 2018. A very rewarding year for investors. 2017 was a very positive year for investors, particularly those with substantial exposure to shares (see Table 1). 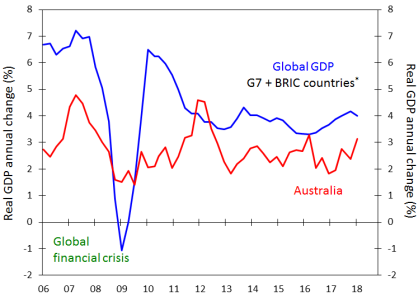 Growth across the global economy was more synchronised than for some time due to a recovery in the eurozone, promising signs of improvement in Japan’s economy and solid conditions in the US and China. All of these strongly supported share markets in both the developed and emerging world. Dreaming of an island adventure? 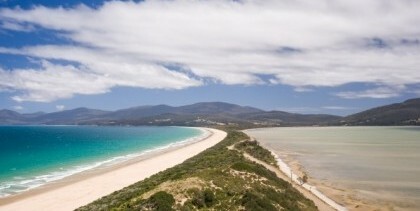 Australia’s coastline is dotted with spectacular islands that make for boundless exploration, providing the feeling of being a world away from everyday life. 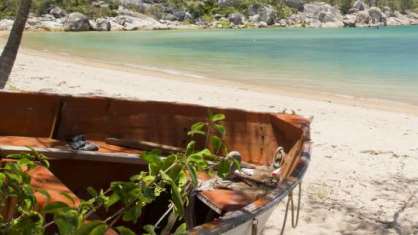 And as you’ll soon discover, an island escape doesn’t have to be a drawn-out exercise. Which key events have been driving markets? Watch this video of NAB Asset Management's Senior Economist Bob Cunneen talking to Head of Investment Communications Jason Hazell to find out. the strong rebound in Australian shares in October. Benchmark magazine interviews Brian Long, Head of Retirement, NAB Asset Management. Which key events have been driving markets? Watch this video of NAB Asset Management's Senior Economist Bob Cunneen talking to Global Equities Portfolio Manager Myooran Mahalingam to find out. 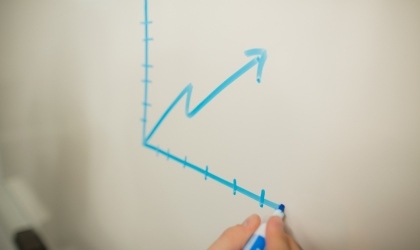 changes made to the MLC fixed income strategies in September. I want a retirement investment plan – where do I start? Many Australians don’t have to think twice about saving for retirement because their employer regularly contributes on their behalf. These savings then have decades to grow and years to ride out the ups and downs of the share market. President Trump's bold promises of corporate tax cuts and higher infrastructure spending continuing to be supportive of US shares. 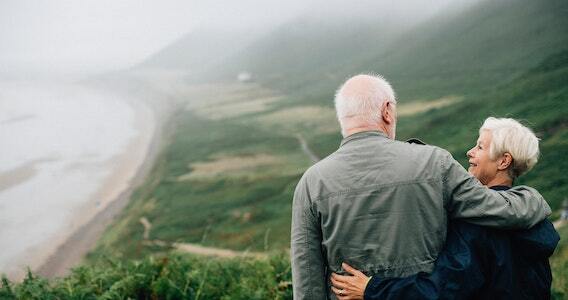 For investors approaching their mid-fifties, or for those who've already met the milestone, it's worth being aware of the psychological barriers that can impact our decision making, so we can take steps to overcome them. There’s something special about climbing a mountain, and it’s a feat that conjures up a whole range of thoughts and feelings. 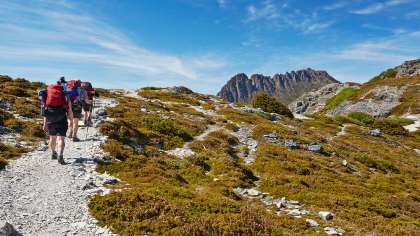 You start by psyching yourself up for the challenge, ooze energy and enthusiasm as the climb begins, question your sanity part way through, and then, with elation, enjoy a huge sense of achievement when you reach the summit. 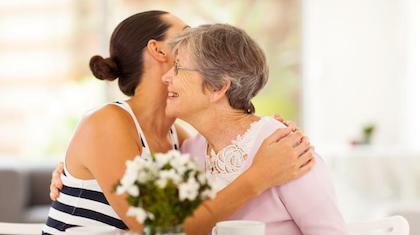 Writer Ambra Sancin shares how her life changed when she became a carer for her mother. It’s often been mentioned that $1 million or more in superannuation savings is needed to live a comfortable retirement. This is a daunting figure for most of us and, unsurprisingly, has many Australians concerned about the kind of retirement lifestyle they have to look forward to. In this update, Bob Cunneen, Senior Economist talks to Myooran about key events driving markets during May. UK-based Intermede’s Mike Gallagher highlights why fast-growing global companies should help investors shake their ‘home bias'. Think about what has happened in the six months since Treasury secretary John Fraser spoke of his concerns for retirement savings of parents who help their children into housing by making withdrawals from "the bank of mum and dad". Equity markets rose in April helped by political developments in Europe and solid US corporate earnings reports. In this update, Bob Cunneen, Senior Economist talks to Jason Hazell, Head of Investment Communications, about key events driving markets during April. the key political risk factors to watch in Europe, the Middle East and North Korea. A key policy of the newly installed Trump administration is to dramatically change the taxation regime. There are several proposed tax changes which are summarised in this article and the potential implications for Australian listed companies with US operations. In this update, Bob Cunneen, Senior Economist talks to Jason Hazell, Head of Investment Communications, about key events driving markets during March. Australian shares delivering a strong monthly performance. 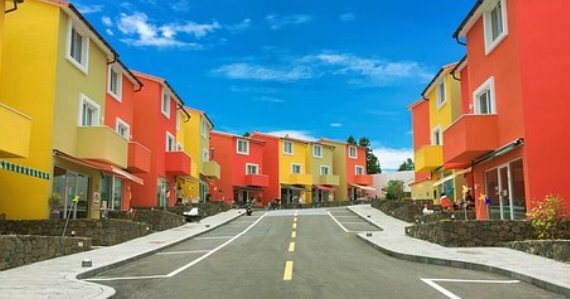 It is not surprising that when housing affordability is being discussed alternative funding solutions are often raised. Recently the idea of allowing access to superannuation accounts to help finance house purchases has again surfaced. In this update, Bob Cunneen, Senior Economist and Portfolio Specialist, talks about key events driving markets during February. changes made to MLC’s multi-asset portfolios in February. Download the 2 page - March economic & market update. Are Australians feeling prepared for retirement? 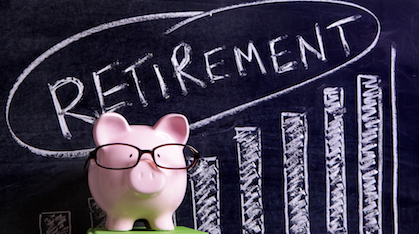 How can we solve the retirement savings gap? There are some interesting trends driving global markets at the moment. Here are four themes we think investors should pay attention to. Having an estate plan is for everyone. It is about being prepared, minimising risk and making sure your loved ones receive the benefit of your estate. In December global equity markets continued to make new highs as investors factored in stronger economic growth and higher corporate earnings in the United States following the US election in November. Oil prices rose 8.7% to US$53.75 per barrel (WTI) following the agreement by OPEC and several non-OPEC oil producing countries to cut production in 2017. The US ISM manufacturing index rose to the highest levels in two years. The US Federal Reserve increased its Federal Funds rate from 0.50% to 0.75% and indicated that it expects to raise interest rates a further three times in 2017. Chinese economic activity indicators were stronger than expected. Australia’s economy has been somewhat mixed with the unemployment rate rising from 5.6% to 5.7% and the government revised its economic forecasts to show marginally larger budget deficits over the next few years. Find out more about the Australian Government's recent super reforms. In this update, Bob Cunneen, Senior Economist and Portfolio Specialist, reviews events in markets during November. how Australian shares rebounded given stronger commodity prices. Download the 2 page - December economic & market update. Christmas is a joyous time but the lead-up to the festive season can be stressful and can really stretch your finances. 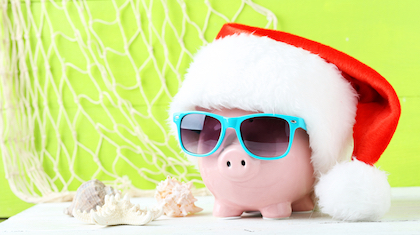 Here are some easy ways to spread Christmas cheer without blowing your budget. Retirement is the perfect time to get out and see more of Australia, from the tropical north to the wilderness of the south and the red earth in between. 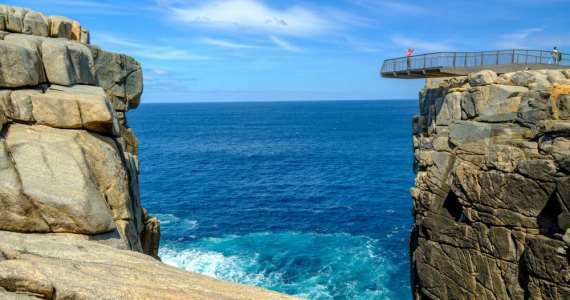 Here are 11 amazing places in Australia to visit when you retire, or for enjoying a mini-retirement. In this update, Bob Cunneen, Senior Economist and Portfolio Specialist, reviews events in markets during October. 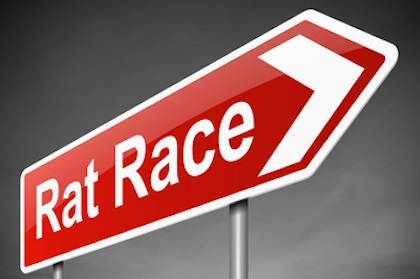 how our inflation rate picked up speed, casting doubt on further RBA interest rate cuts and adversely impacting Australian shares. Download the 2 page - November economic & market update. In this update, Bob Cunneen, Senior Economist and Portfolio Specialist, reviews events in markets during September. how the Australian Resources sector was supported by higher coal and oil prices. Download the 2 page - October economic & market update. 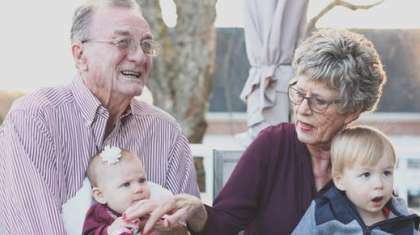 Seventy-seven percent of Australian pre-retirees who haven’t enlisted the help of financial professionals1 don’t feel prepared for retirement. In this update, Bob Cunneen, Senior Economist and Portfolio Specialist, reviews events in markets during August. Australian shares slipping by 1.6% in August and the softening of the Australian dollar. Download the 2 page - September economic & market update. Is borrowing to invest a good idea? When buying a home, most people save a deposit, find a place they think will grow in value, work out if loan repayments and other expenses are affordable, and then borrow the money needed to make the purchase. In this update, Bob Cunneen, Senior Economist and Porfolio Specialist, reviews events in markets during July. how Australian shares rose by a robust 6.3% in July. 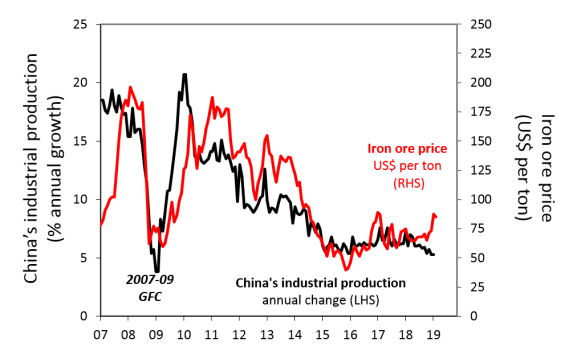 Higher coal and iron ore prices helped the commodity market. Download the 2 page - August economic & market update. How many of these domestic bucket-list places have you seen? With so many desirable holiday spots across the country, prestigious travel magazine Conde Naste named Australia as the ‘Top Destination of 2016’. So if you’re planning a trip, it might be worth swapping your next overseas holiday for an adventure closer to home. In this update, Bob Cunneen, Senior Economist and Porfolio Specialist, reviews events in markets during June. how Australia’s strong growth in consumer spending, housing construction and exports managed to offset the downturn in mining investment. Download the 2 page - July economic update. You've received an 'exclusive' invitation to attend a 'premier wealth event'. There will be motivational speakers. 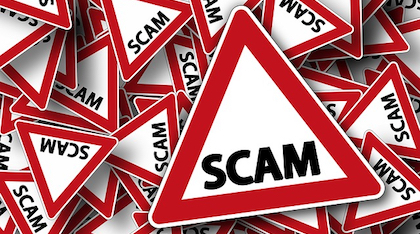 Their financial secrets have the power to turn you into a millionaire within a few years. But is it too good to be true? 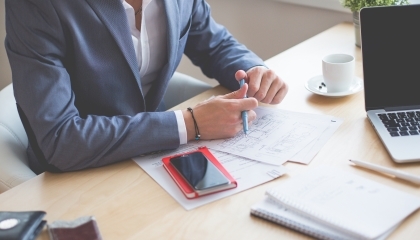 What does the 2016 Federal Budget mean for your super? The 2016 Federal Budget alerted every member of a superannuation fund – large and small – to the fact that risk is not the sole domain of investment markets. With accommodation one of the biggest vacation costs, home exchanges are becoming an increasingly popular way to travel. Here’s what you need to know. Welcome to the May edition of the Market Update. The recovery in equity and commodity prices continued in April helped by reasonable economic data and commentary from central banks, whilst oil prices continued to move higher, up another 20% in April. In the United States GDP growth was disappointing for the quarter, whilst GDP was stronger than expected in Europe. China quarterly growth figures were reasonably solid, whilst in Japan deflation pressures continued with CPI falling 0.1% year-on-year. At home the RBA cut the cash rate from 2% to 1.75% and Australian business conditions and employment levels remained strong. In the latest update, John Owen, Portfolio Specialist reviews events in markets during April. Download the 2 page - May economic update. 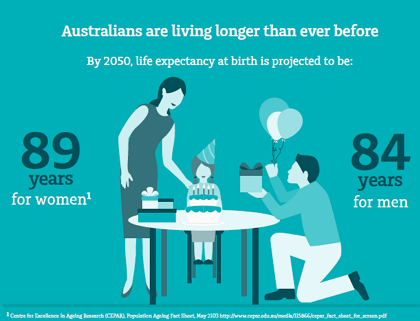 Australian accumulators and pre-retirees would invest on average at least 55% of their super savings in a longevity protection product according new research released today. Still handing your smartphone to an eight year old to sort out? Here are five handy tips to make technology work for you. John Owen, Portfolio Specialist, discusses market volatility, developments in China and how MLC's portfolios are positioned. In the latest update, John Owen, Portfolio Specialist reviews events in markets during March. Download the 2 page - April economic update. Many Australians are not confident they have enough assets to support their retirement, according to research from IPSOS and MLC, the Australia Today report, with 43% saying they will need to rely on support from the Australian Government. In the latest update, John reviews events in markets during January. Download the 2 page - February economic update. 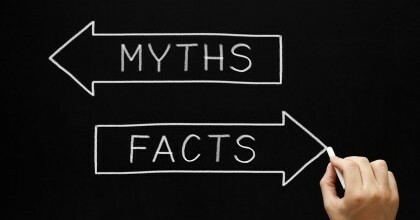 Investors who focus mainly on pre-tax returns may gain a misleading impression of their real investment performance. And, in turn, they may not give enough attention to trying to keep their tax costs - along with their other investment costs - to a minimum. John Owen discusses: The new calendar year has started on a particularly bleak note with widespread share market falls recorded in the first week of trading. 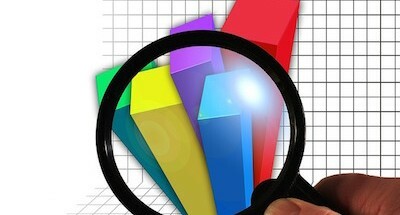 US economic data continues to provide clear signs of an improving economy. US Federal Reserve expected to commence interest rate increases in December. John Owen, Portfolio Specialist, discusses easing global share market returns, developments in China and how MLC's portfolios are positioned. In the latest update, John reviews events in markets during November. Download the 2 page - December economic update. As 2015 draws to a close, it’s time to review what’s happened in investment markets this year and look ahead to 2016. Investors have enjoyed another year of positive returns, despite considerable midyear volatility. However, the returns shown in Table 1 are below those that were reported in 2014, in some cases materially lower. 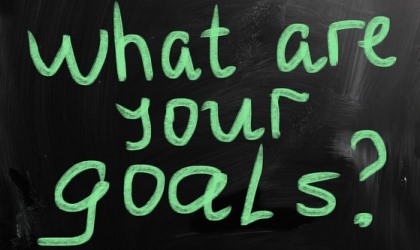 Around half of us make New Year’s resolutions – but only around 12% manage to succeed. 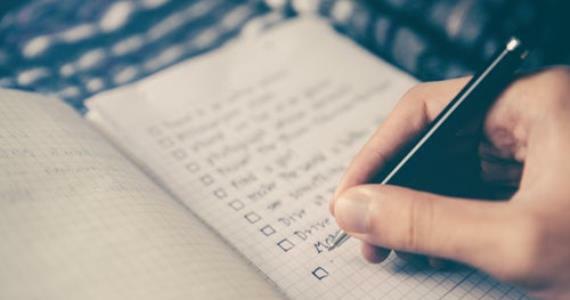 With getting out of debt and sorting out our finances high on the wish list each year, here are three tips to help you keep your resolution and make 2016 a financial success. When it comes to giving to charity this Christmas, which is more valuable - your time or your money? Eurozone data continues to improve albeit at a slightly slower pace in September. John Owen, Portfolio Specialist, discusses the recent volatility of global and Australian share markets and how MLC's portfolios are positioned. In the latest update, John reviews events in markets during September. Download the 2 page - October economic update. 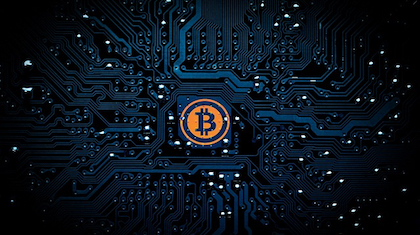 In the latest update, John reviews events in markets during August. Download the 2 page - September economic update. 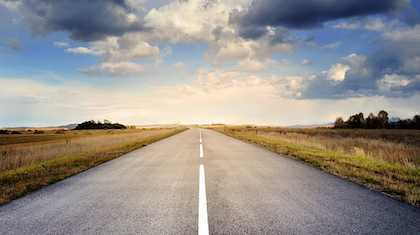 Here are some facts everyone should know about leaving something behind for their loved ones. 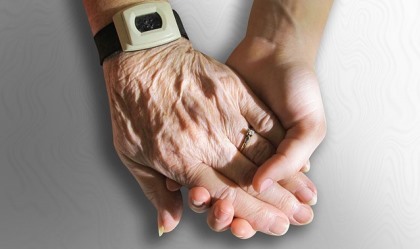 The aged care system can seem daunting. But by understanding what’s available, you can make sure you or your loved ones get the care they need. In the latest update, John reviews events in markets during May. Download the 2 page - June economic update. Got itchy feet? If you love to travel, you know that it doesn’t come cheap. But by planning ahead and acting smart you can save on costs - so you can pack your bags for that trip of a lifetime sooner. In the latest update, Brian reviews events in markets during April. In the latest update, Brian reviews events in markets during March. Entering retirement doesn’t mean you can stop carefully managing your retirement money. It’s important that you continue to get the most from your savings and plan ahead. In the latest update, Brian reviews events in markets during February. Download the 2 page - March economic update. Oil prices continue their sharp decline through December. Global bond yields continue to fall on the back of deflationary forces. The Shanghai Composite Index rises 20% in December on the back of interest rate cuts by the PBoC. US economic data continues to provide an improved and sustainable growth outlook. The Eurozone data continues its weak growth trend and raises the prospect for further monetary easing. The Australian Dollar continues to weaken – down 4.12% against the USD in December. Brian Parker, Head of the Portfolio Specialists Group, gives an update on markets during December. 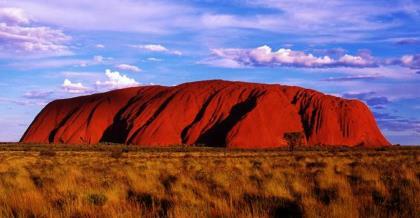 why Australia’s investment environment remains uncertain, despite signs of recovery in the non-mining economy. Download the 2 page January economic update. Oil prices decline sharply through November. Global equity markets continued to rally strongly, although Australia did not participate. 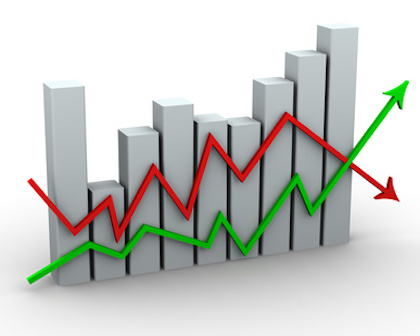 US economic data continues to show a sustainable recovery. Weak economic data across the Eurozone continues to support further ECB monetary intervention. China moves from targeted stimulus to a broad cut in interest rates to meet growth targets. The Australian dollar continues to weaken – down 3.3% against the USD in November. Brian Parker, Head of the Portfolio Specialists Group at MLC, gives an update on markets during November. 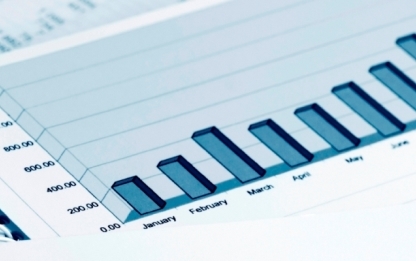 which positions in MLC's multi-asset portfolios contributed to performance this month. Download the 2 page December economic update. In this article, Brian Parker reviews Australian and international investment markets during 2014.
how MLC deals with the unpredictable investment environment. Global equity markets rebound strongly in October. Japanese extend Quantitative Easing (QE) by ¥30 trillion pa to ¥80 trillion pa. US completes dial down of QE3 and economic recovery continues to support global growth in 2015. Eurozone still weak from the ongoing crisis in the Ukraine and the Middle East. 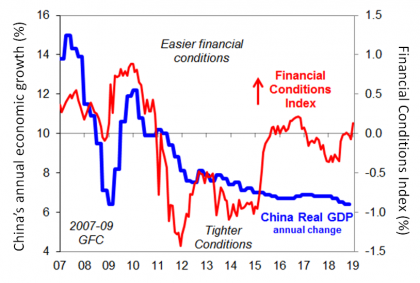 Stabilising Chinese economy, although a weaker property sector continues to be a risk. 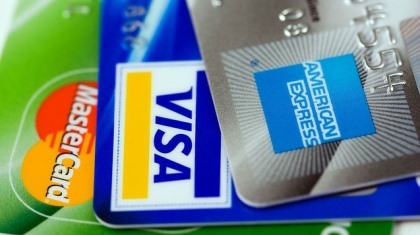 Australian consumer and business credit growth grinds higher. Brian Parker, Head of the Portfolio Specialists Group at MLC, gives an update on markets during October. which positions in MLC’s multi-asset portfolios contributed to performance this month. Download the 2 page November economic update. You’ve worked hard all your life and are looking forward to enjoying a comfortable retirement. How can you be sure that your savings will last? Brian Parker, Head of the Portfolio Specialists Group at MLC, gives an update on markets during September. which positions in MLC’s multi-asset portfolios added significant value during the month. Download the 2 page October economic update. 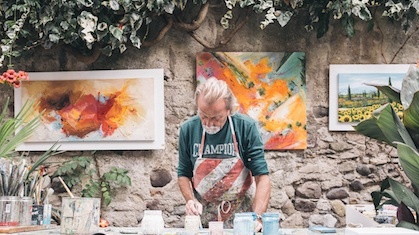 Retirement may still be 20 years off — but that’s why you need to make the most of your savings while you’re still working. Heightened geopolitical tensions in Ukraine and the Middle East continue to dominate global equit markets. Economic growth in the US remains string, with Q2 GDP revised upwards from 4.0% to 4.2%. European data remains weak, particularly impacted by the Ukraine crisis. A slowdown in Chinese economic growth in Q2 as a result of a weaker performing property sector. Modest improvement in Australia consumer and business confidence and credit growth. Brian Parker, Head of the Portfolio Specialists Group at MLC, reviews events in markets during July. How MLC's multi-asset portfolios are positioned. Download the 2 page August economic update. Portfolio Specialist Kajanga Kulatunga explains why in the next few years bond yields aren't likely to bounce back to the levels we saw in the decades before the GFC. what the options are for investors who want to continue investing in bonds for income. Continued improvement in US economic growth following a revised down Q1 GDP of -2.9%. European economic data impacted by the Iraq civil war crisis. Chinese economy stabilising, with manufacturing data at a six month high. Australian economic data suggests interest rates will be on hold well into 2015. In the latest update, Brian reviews events in markets during May. 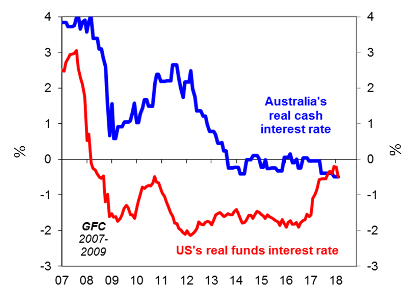 how monetary policy generally remains very loose, despite the US Federal Reserve’s "tapering"
why the Federal Budget didn't make any lasting impact on Australian financial markets, and. how MLC's portfolios are positioned. Download the 2 page June economic update. how MLC’s forward-looking approach helps us manage uncertainty about the future investment environment. Download the 2 page May economic update. Growth is set to continue, despite weather impacting activity in the northern hemisphere. Europe continues to show tentative signs of recovery, albeit from a rather low base. China’s 7.5% growth target is unchanged, though reform remains the top priority. Australian labour market conditions weaken, as mining-led investment reverses. 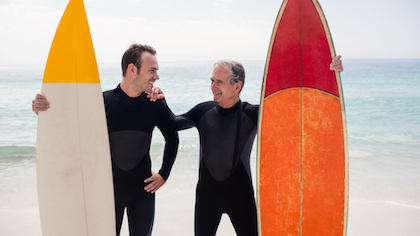 Your retirement years are a chance to relax, rejuvenate and focus on the people and activities that matter most to you. But retiring is also one of the most significant life changes you’ll ever make, and adjusting to life after work can be hard. 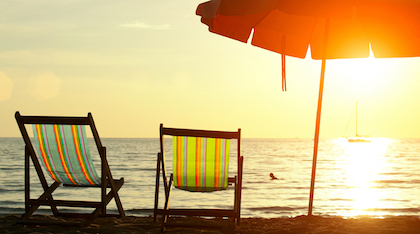 Here are some tips for avoiding the retirement blues and enjoying a stress-free retirement. The end of financial year is almost here. With a little planning, you can increase your chances of a healthy tax return and start the new financial year in top financial shape. Here are three tips to get you started. In the February economic update Brian Parker reviews events in Australian and overseas markets during January. what strategies MLC has included in its diversified portfolios to help manage risk. Download the 2 page February economic update. Global economies continue to gain traction – expecting more synchronised global growth in 2014. RBA remains on an easing bias - lower Interest rate environment in Australia set to continue through 2014. 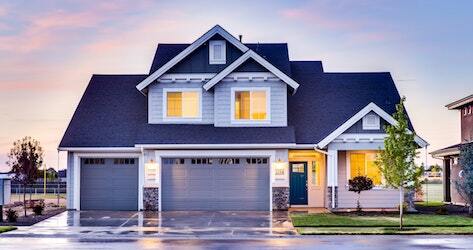 Australian residential housing shows further upward momentum albeit at a more moderate rate. Sydney residential housing auctions at record levels – but credit growth remains subdued. In this Investment Insight, Brian Parker, Senior Investment Consultant at MLC Investment Management, explains the Fed’s announcement that it will start ‘tapering’ its program of asset purchases. He outlines what this development, and the recent budget agreement in the US, could mean for share markets and the Australian dollar. why the actions of central banks continue to be a key influence on markets. In this Investment Insight Brian Parker, Senior Investment Consultant at MLC Investment Management, reviews Australian and international investment markets during 2013.
how MLC is responding to the uncertain investment environment. 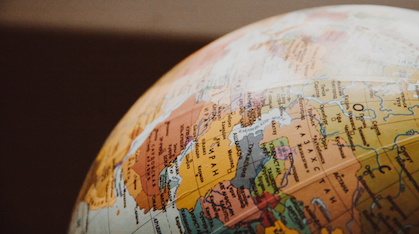 In the MLC Investment Insight - "Emerging markets again in the spotlight" Brian Parker CFA, Senior Investment Consultant, MLC Investment Management discusses how emerging markets are again under pressure as investors ponder a world without quantitative easing. 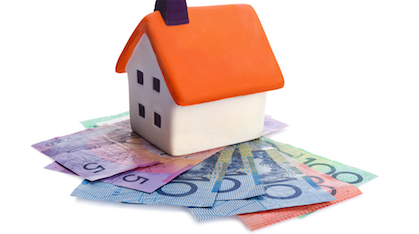 In the MLC Investment Insight - What’s the outlook for Australia’s housing market? Michael Karagianis, Senior Investment Strategist, MLC Investment Management discusses the outlook for Australia’s housing market. Read the full report - What’s the outlook for Australia’s housing market? The opportunity to make larger tax-effective contributions from your pre-tax money just before you retire is limited. 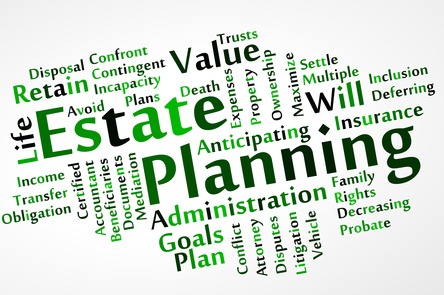 Here are ten tips to help you get your Estate Planning in order. Maximising social security benefits, such as the age pension, has been a major goal for many Australians once they reach retirement. 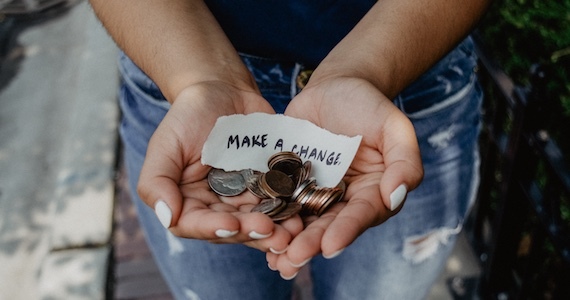 Jennifer Brookhouse* outlines some strategies that can be used to reduce your assessable income and/or assets and increase your Centrelink benefits. 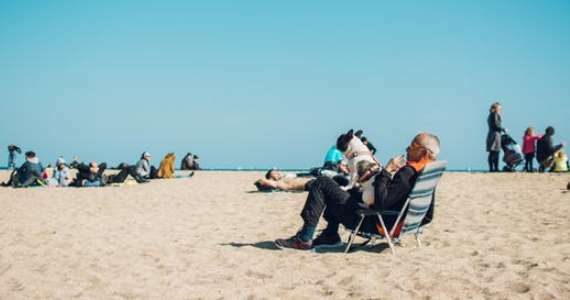 Retiring from the paid workforce is one of the most important life changes most of us ever make.Here are some issues to think about and steps you can take to become truly retirement ready, so you can enjoy the lifestyle you’ve been looking forward to. 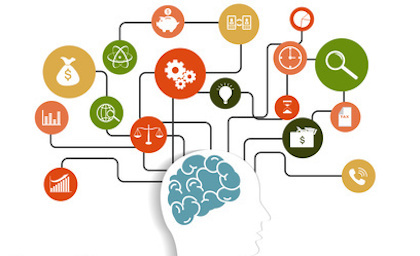 When did you last rethink your super investment strategy? With most funds offering dozens or even hundreds of different investment options, it’s worth taking the time to make sure you’re still in the best choice, especially as retirement comes closer. It only takes a few minutes to switch, but the benefits could last for the rest of your life. Wills - are they enough? 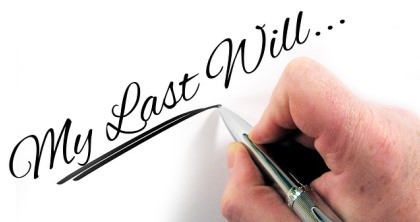 Did you know that a Will, on its own, might not allow you to achieve all of your estate planning objectives? 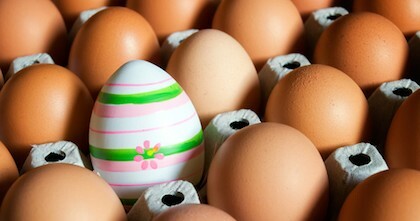 What is diversification and how can you achieve it? Is there better value offshore? In your 40s and 50s. 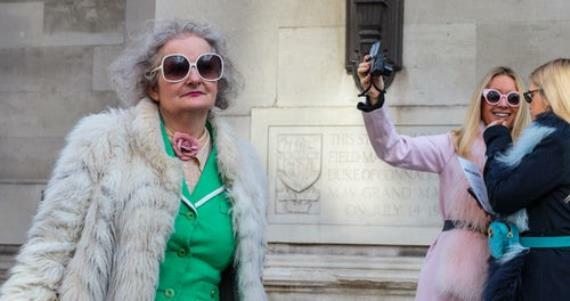 Stay Strong at every age! During periods of sharemarket volatility, many investors turn to the perceived safety of cash investments. 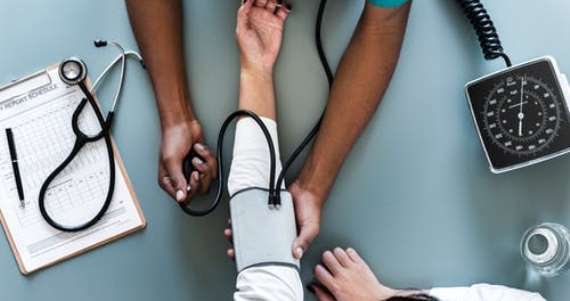 Australians are taking unhealthy risks on second opinions relating to an illness or medical condition, according to research conducted by MLC. Emerging markets – economic growth and market returns? Emerging markets have surprised many over the past couple of years, with strong sharemarket returns and resilient economic growth. And this growth looks set to continue, with emerging markets forecast to be the primary driver of world economic growth. Term Deposit Returns – After Tax and Forecast Inflation, what’s left? 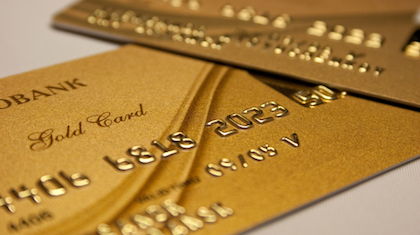 A new financial year can represent a new start or new approach to your money. Taking advantage of smart strategies to grow your wealth and reduce tax can make a real difference to your finances. The popularity of self managed super funds (SMSFs) has increased substantially over the past few years. 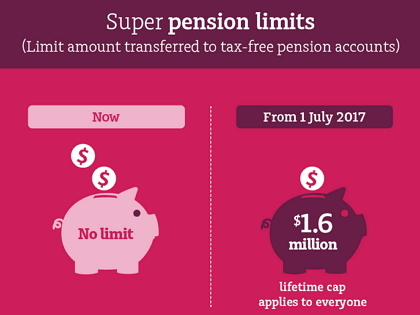 In fact, SMSFs now account for about one third of total superannuation savings. Fixed interest funds are often not seen as exciting as their stockmarket counterpart and for some, considered “boring” (to put it simply). But it is an asset class that is often misunderstood and when examined closely, it is an asset class which requires superior investment skill given the wide range of investment securities to choose from. The purpose of this article is to provide you with some of the basic fundamentals of fixed interest funds to provide a better understanding of an asset class that on the surface may appear quite simple, but is in fact often misunderstood. Why bonds, when yields are so low? Government bond yields in a number of countries remain close to historic lows, even after a reasonably savage sell-off towards the end of 2010. The absolute level of yields does pose the question: why do we have global sovereign debt in a diversified portfolio? You are probably aware it’s essential to have life insurance if you have debts and/or financial dependants. What you may not realise is that life (and total and permanent disability) insurance can be cheaper than you think if you buy it through super. Many Australians believe buying a home is the key to long-term financial security, and renting nothing more than 'paying off someone else’s mortgage'. So it’s clear why many of us prefer to buy. But is home ownership always the best option? Do you know how much you’ll need for retirement? Should you be contributing more to your super? And how can you do this? 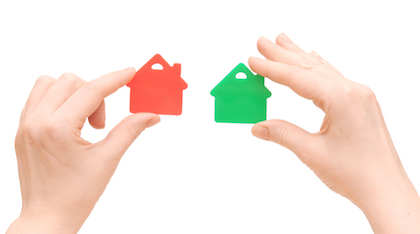 Many first-time investors are eager to buy into the property market. Some young investors may need financial assistance, often turning to family for a helping hand. Vince Dore and Delphi Financial Management Pty. Ltd are Authorised Representatives of GWM Adviser Services Limited ABN 96 002 071 749, trading as Garvan Financial Planning/MLC Financial Planning an Australian Financial Services Licensee, Registered office at 105 –153 Miller St North Sydney NSW 2060 and a member of the National Australia group of companies.